Luxury Overwater Villas and Bungalows immediately spring to mind for many couples planning honeymoon or anniversary trips, but where are the best ones? You'll have the most options to choose from in the Maldives, although all overwater villas are definitely not created equal. 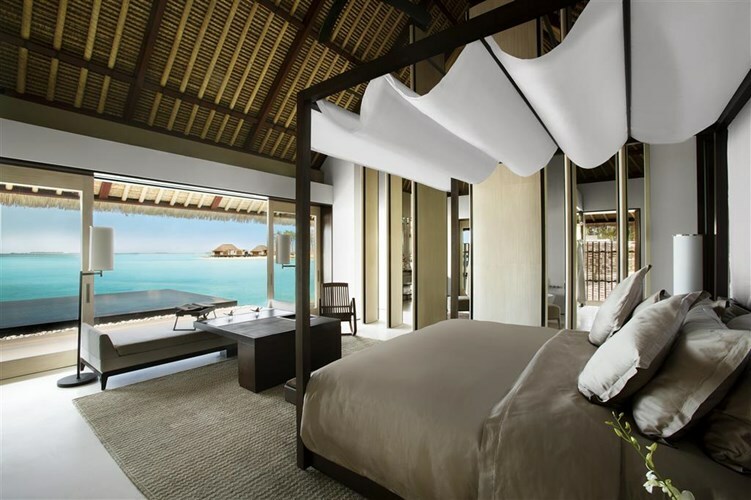 Some, such as the ones at the Park Hyatt Maldives, are plagued by inadequate air conditioning systems, which can make them unbearably hot in the middle of the day, making an afternoon siesta difficult. Others, such as at the Conrad Maldives, are part of an overall lackluster resort. Here are my picks for the most luxurious overwater villas, based on the numerous resorts my clients and I have stayed at. 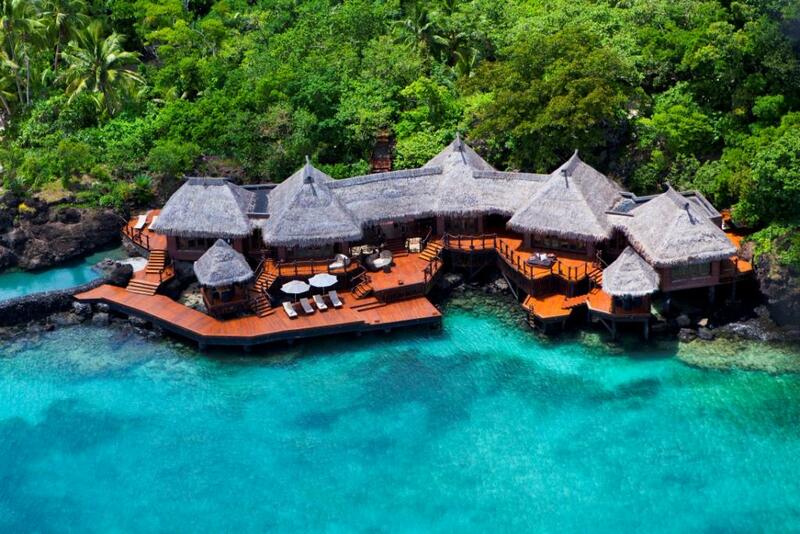 The 2 Bedroom Overwater Residence at Laucala would be perfect for a family or for two couples traveling together, but ensure you reserve well in advance: it's the only one of its kind at Laucala, a private island that formerly belonged to Malcolm Forbes, and was purchased by Red Bull founder Dietrich Mateschitz. 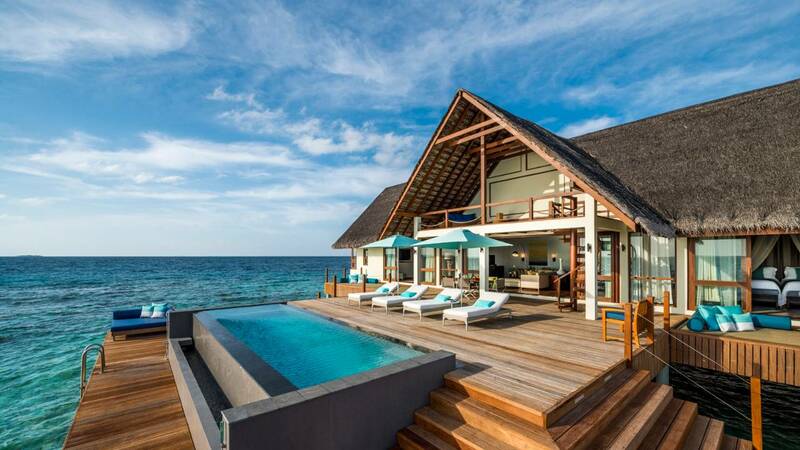 The overwater villa is 4200 square feet (interior space of 2400 square feet plus 1800 square feet of exterior space) and includes a private deck with jacuzzi hot tub and plunge pool. Rates of course are several thousand dollars per night, but the nice thing about Laucala is that the rate includes all meals daily, whether you opt for a multi-course tasting menu at Plantation House, sushi or Thai dishes at Seagrass Restaurant, or private dining in a location of your choice on the private island. Plus, incredible billionaire toys such as a submarine are also included, as is all inner reef scuba diving, horseback riding, tennis, golf and more. Cheval Blanc Randheli easily provides the most luxurious villas and experience in the Maldives (also see my review of Le 1947, a Michelin-worthy restaurant, and my snorkeling experience with an octopus), not surprising for the resort arm of Louis Vuitton, which also has sister properties in St. Barts (Cheval Blanc St. Barth Isle de France) and Courchevel (Cheval Blanc Courchevel). It will be a tough decision which we save up for first, a visit at one of these sister properties or a return visit to Cheval Blanc Randheli, but suffice to say, we're hooked. The Water Villa at Cheval Blanc Randheli is actually the entry level villa, but you'd never know it from its over 2500 square feet of space and private 40 feet long infinity pool, not to mention the beautiful view and tasteful interior with perfect temperature, light and shade control at the touch of the villa's iPad. The Sunset Two Bedroom Water Suite has a larger, infinity edge pool, and as its name implies is perfectly situated to savor gorgeous sunsets. With 1 king bed in one bedroom and two twin beds in the other bedroom, plus a daybed in each bedroom, and two full bathrooms plus 3 outdoor showers, it can sleep up to 6 adults or 4 adults and 2 children in its 1959 square feet of space. 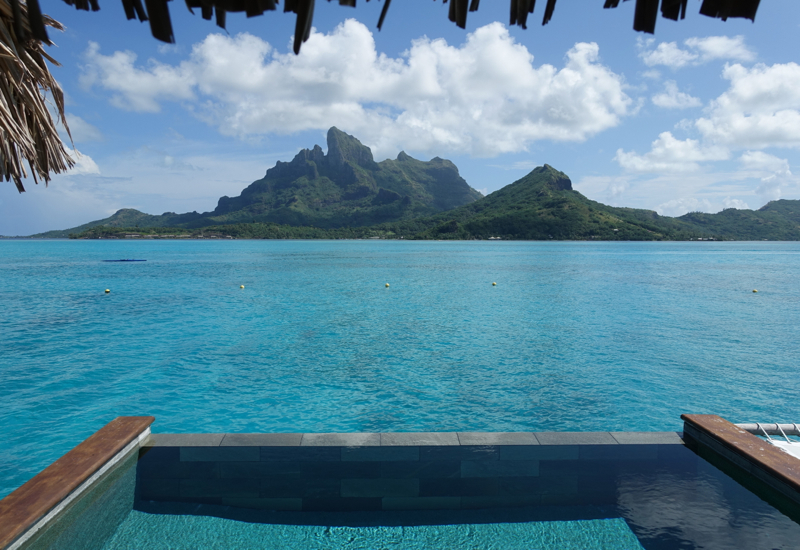 We celebrated our 10th wedding anniversary at the Four Seasons Bora Bora, and a huge part of the magic of the experience was being able to stay in an Otemanu Overwater Bungalow Suite with Plunge Pool, with a magnificent view of Otemanu. We were even lucky enough to spot a Barracuda right underneath it! Be aware that regular bungalows do not typically upgrade to these bungalow suites with pools, so to avoid disappointment, I recommend booking it outright if you do want that iconic view and pool, or if the pool is most important, booking the overwater bungalow suite with pool during low or shoulder season, to have the chance of an upgrade to an Otemanu view. If you've stayed at any of the above overwater villas, what was your experience? 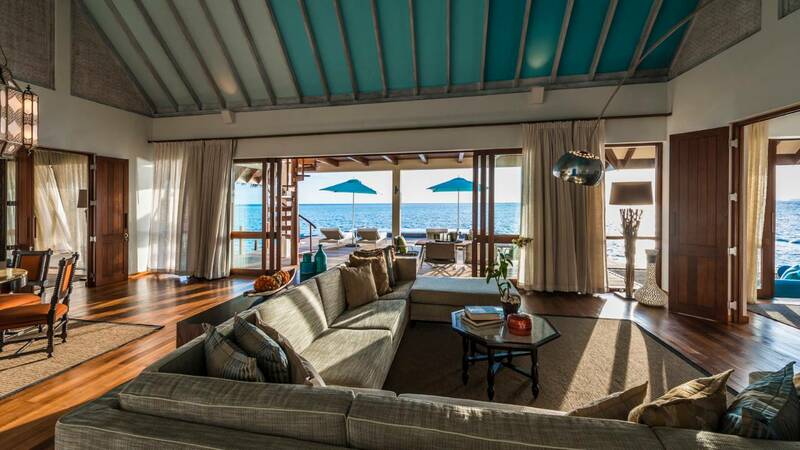 Great Cheval Blanc Randheli Maldives Offer: Two Free Nights! 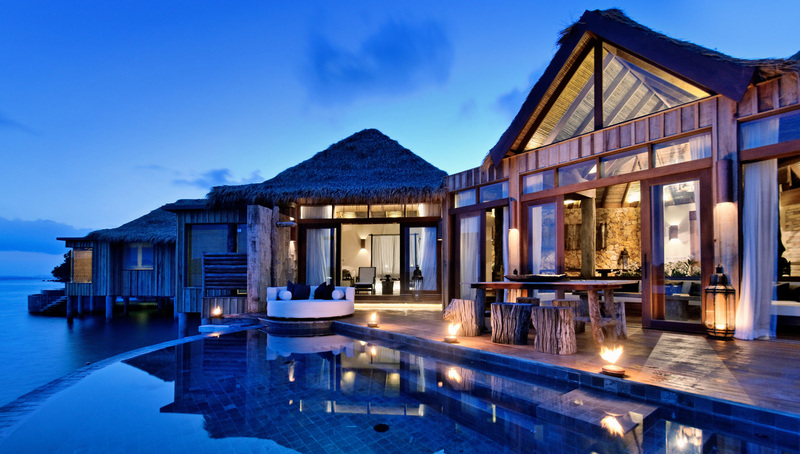 Become a TravelSort Client and Book Your Overwater Villa with Virtuoso or Preferred Partner Benefits!